Justin Carpenter is a PhD candidate in English Language and Literature at the University of Waterloo, focusing on aesthetics, philosophy of technology, critical game studies, and new media art. He is the Section Head of Book Reviews and Interviews for First Person Scholar. The supreme good is like water, which nourishes all things without trying to. It is content with the low places that people disdain. Thus it is like the Tao (Lao Tzu, Tao Te Ching, Chapter 8). According to Lao Tzu, the Master never forces desire but abandons it, flowing constantly like water in between the passive and active, the soft and hard, the dark and bright. This passage, if it is to be good, requires a letting go; holding onto outcomes one desires inevitably makes them impossible to achieve. Rather, goodness is found in the processes of becoming master over one’s body and mind, not the final results. There’s something compelling in this notion, which implies the beautiful balance between yin and yang, the relaxing feeling when you flow down the river and let go of intention and desire. But there’s also something fiercely pleasing about mastering your body too, of defeating opponents, of accruing skills and being the best. I’d like to think it’s not as simple as choosing between immediate, short-term pleasure and the more gratifying, harder-to-find peace that comes with a lifetime of virtue, but I can’t say for certain. It’s a difficult, gnawing kind of question—one that takes ages to answer. Something else that has been nagging at me is Hyper Light Drifter (2016). It is a game I can’t seem to forget, one that keeps returning to me even as I drift, wandering through Europe or procrastinating on work that should have been done a while ago. Darting through the game’s post-apocalyptic world, moving North, South, East, and West, I realize that Hyper Light Drifter is a game that pushes its players toward the middle path between mastery of body and mind, using illness as a metaphor for the challenges of such mastery. A meditation on Alex Preston’s personal struggle with congenital heart disease and an abstraction of illness as a philosophical concept, Hyper Light Drifter juxtaposes a ravaged world with a protagonist whose life is threatened by internal and external perils. Thus, in Hyper Light Drifter the master-player is forced to follow not only the flow of water, but also the steady, indifferent beating of a heart which, like water, persists in its movement and impels players forward. Following the rhythm of Hyper Light Drifter, one becomes water; their blood flows steadily, as does their breathing. By writing one’s experiences of the game, using Lao Tzu’s Tao Te Ching as a prism, the apprentice (in this case, me) can explore the processes of mastery. Img. 1: The corpse of a titan clutching the side of a mountain in the game’s Northern section. In Hyper Light Drifter places are filled with beasts, bandits, obstacles, death. I, playing as the Drifter, walk through these valleys of death in the shadows, the forgotten places of decimated civilizations. Around me corpses are strewn. The remains of monstrous titans paint the landscape, their flesh tattered and pixilated. Digital, distorted melodies phase in and out, drenching the game with a sense of repose. Suddenly, arrows pierce the Drifter’s skin and I fail to react. Music swells and choppy, arrhythmic beats pulsate. Enemies adapt, are adept. I move toward them like a fish swimming against the current until, slowly, I learn to flow with it. Through the mastering of the Drifter’s body I become still, I think and observe and find balance. Through conquering obstacles I become master. 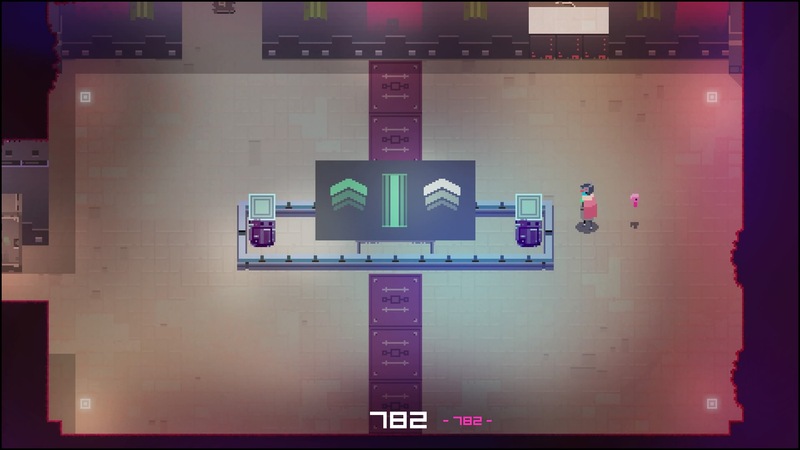 Much has been made about Hyper Light Drifter’s autobiographical elements. Admittedly, it is really difficult to ignore how much the Drifter functions as an avatar for Alex Preston in the game. The Drifter is a ronin-like figure persistently subjected to bouts of coughing blood, heavy breathing, and collapse. The Drifter’s spilled blood becomes the chief antagonist of the game, a monolithic figure made of shadow and sick that badgers you when the Drifter falls over, weakened from battle. Often, the Drifter is left unconscious and defeated at the feet of this figure, which is called Judgement (after the tarot card of the same name, which connotes self-reflexivity and meditation). Escape seems impossible because the monster is part of you, comes from you. It is illness made manifest. Using illness as a constant constraint raises the stakes in Hyper Light Drifter on an emotional and ludological level. Because it’s easy to become transfixed on negativity, on the imbalanced state of things, there’s a tension between the player’s ongoing development as apprentice and their desire to master the game. The game has complicated, interwoven mechanics that force you to adapt, to be like water. You’re given a cloak that allows you to perform multiple dashes if you time it correctly. As you wander you collect a variety of guns, grenades, and techniques that give you a sense of progress and slow accomplishment. You’re developing through the toil and hardship, the meditation and wandering guiding you on a journey toward mastering yourself. 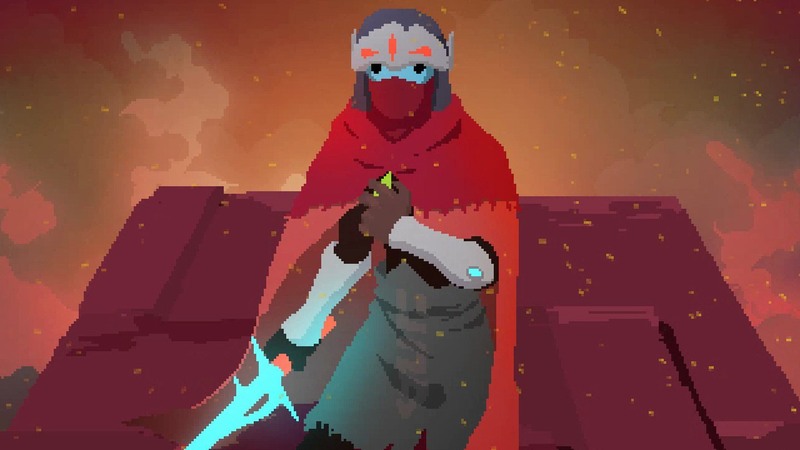 In Hyper Light Drifter literal illness isn’t something that can ever really be mastered, which complicates the game’s representation of the Drifter and the world he is traversing. Much like the teachings of the Tao Te Ching, the game’s representation of illness is paradoxical. Though the allusions to Alex Preston’s real-life illness are invaluable for interpreting the game’s cryptic narrative, the game largely avoids being literal. Rather, the Drifter’s illness is an allegory for hindrances lived with or let go of. Obstacles, if dwelled upon, become the objects of our desire to overcome them. They rot and fester and pull us off the path of enlightenment. The antidote to desire is letting go of hope, of fear, of one’s self. In chapter 71 of the Tao Te Ching, Lao Tzu writes: “Not-knowing is true knowledge. Presuming to know is a disease. First realize that you are sick; then you can move toward health.” Without acknowledging limitation, one can never master such illnesses, and without letting go of the desire to become well one cannot transcend such obstacles. Lao Tzu’s observations about dwelling on limitation, which is translated here as “presuming to know,” suggests that assumptions and desires are like phantoms that cannot be grasped, and chasing them pulls one away from the Tao. As you progress through Hyper Light Drifter, you’re constantly reminded of your bodily limitations, both as a human player and as the Drifter. In every mistake, miscalculation, massacre, there’s a reminder that finding peace is never free. But these are only the pitfalls along the way, and when players are able to transcend these limitations by flowing, not thinking, the Drifter dances like water. In my mind I’m walking through the southern area, the Barren Hills, again. This area of the world is the last to be unlocked, and provides the stiffest challenge before encountering Judgement. 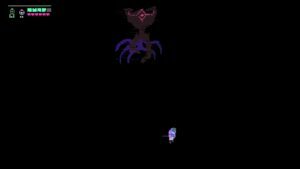 Here I meet a series of bosses, the Sentients, each more intimidating than the last. As I’m running the gauntlet, Disasterpeace’s sombre music swells until it is nightmarish and glitchy, full of chaff. I am approached by a figure who throws scythes across the map. I am about to battle with Death, which implies a new phase has begun on my journey. I am nearly ready for Judgement. Particularly punishing, Death demands me to be faster than ever. The Reaper has superior range and immense power, causing me to panic and dash poorly. On screen the Drifter comes to a standstill and, briefly, grasps at his chest. He breathes, hyperventilating. Blood pools below his feet like shadows. The trance is broken. But I know all things come to pass, all is transient. I breathe, close my eyes, and find the rhythm of the water. Then I dash again. Hyper Light Drifter is a game about the disjuncture between flowing water and the failing body, which desperately struggles to keep pace with the game’s heartbeat rhythm. Cleverly, this split manifests both in the player’s ability to manoeuvre the Drifter purposefully as well as in the limitations the Drifter himself shows in the game. It’s a game about overcoming the body, of defeating yourself and whatever ails you, which can often be the same thing. As a result, it’s fiercely challenging, taxing your hands with fast-paced combat that requires timing, strategy, and skill. This is only one component of the game, however. Hyper Light Drifter is also a game about finding peace, wandering ceaselessly, and pondering its world. Consider one of the game’s most difficult challenges: the 800-dash chain required to unlock an outfit which, appropriately enough, improves your dash ability. 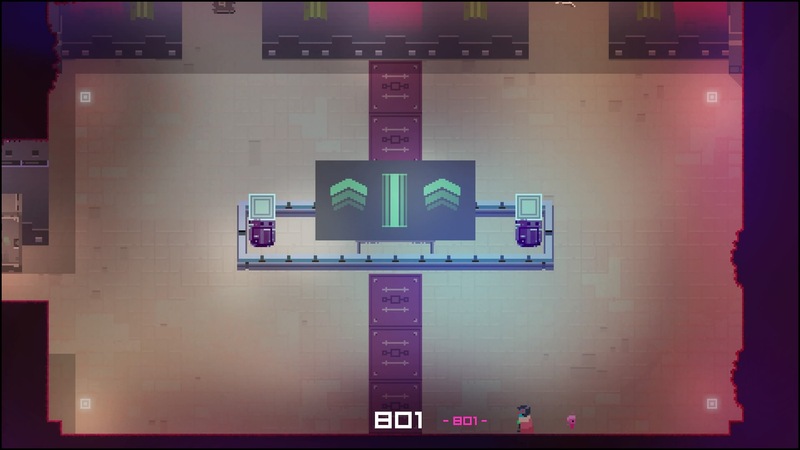 Like much of Hyper Light Drifter, this challenge is simply there. Without the help of people on the internet, you’d never know how many dashes were required to unlock it. The first time I learned that I needed to do 800 dashes together, tapping a button 800 times with perfect timing, I scoffed and continued adventuring. At first, gargantuan tasks appear insurmountable. Until I finished the game for the first time and began playing New Game+, I thought very little about the dash challenge. I had finished the game without it, so clearly it was not that vital. However, the more I thought about the game, the more I realized that tasks like this were not only helpful for completing the game, but for also understanding it philosophically. While browsing reddit I came across a discussion regarding a mysterious element of the game, a group of monoliths you locate and activate over the course of your journey. Upon touching all of the monoliths, the wall of the Northern library becomes covered in a codex that helps you translate the language of the monolith. In translating these tablets, users can read the monoliths’ messages. Though they tell a story of the areas they are found within, the monoliths also sound very similar to the philosophy of Lao Tzu. For example, one monolith states: “TRANSCENDENCE FAITH IMMORTALITY,” while another says “A STILLNESS OF MIND, SKILL HONED SHARP.” Because of the time I’ve spent with it, I believe that Hyper Light Drifter unveils its secrets slowly, over time, so you are ready for them. Inevitably, I returned to the Dash Arena and began dashing. Until today I had never completed the dash challenge. I dashed 628 times the night before my first comprehensive exam. The day before one of the greater challenges I’ve faced in my academic life, I was meditating on a challenge I had no need to finish, forcing myself to forget my looming judgment. I wanted to be in the moment. It has taken me months since then but I’ve done it. First, I got to 782 dashes and hit the wall. Frustration rising, I forced myself to continue trying. Being that close stung, and was probably the hardest obstacle. It felt like I had accomplished enough, that being so close would be more poetic. But I continued moving until, finally, I made it. I think, deep down, I’ve let go of the promised reward for completing this challenge despite winning it. I equipped the cloak to see it, but the difference it makes seems negligible at best. It isn’t meaningless, especially in a game where easily dashing saves you from death. But, more importantly, there is a tranquility that comes from hard work, even if it is exhausting and frustrating. When you do something over and over you lose the desire to finish it and begin to appreciate the mindfulness of being present in the moment, of letting go of all burdens, of simply being. You find peace. Hyper Light Drifter internalizes the processes of mastery, of transcendence, allowing you to do the same despite your limitations. I would like to outline some brief thoughts in closing this. I still remember the feeling I had while watching the dash challenge be completed by someone using an auto-clicker for their keyboard and mouse. By setting this clicker to 250 BPM, you are able to complete the challenge and receive your reward. Understandably, speed runners need to rush through these achievements in order to move on to another challenge, but somehow cheating the chain-dash challenge feels insincere, or hollow. Consider the message of one of the monoliths: “A LOSS OF SELF, A NARROW PATH TRAVELED.” Cheating this challenge is to ignore the warnings of this game’s world, to literally lose yourself, like many of the game’s enemies, to the machine tools that are supposed to provide comfort but instead damage the world. I feel that shortcuts and tools like this provide no lesson, no challenge. They narrow your path, remove your ability to flow, destroy self-reflection, and make the body soft. You cross off a bullet point on your bucket list, but you overcome nothing. As Hyper Light Drifter shows, perseverance and patience are not easily found. Devoted fans, much like those of Phil Fish’s Fez, have translated an entire language that remained hidden until weeks after the game had come out. This kind of mystery challenges mind and body equally, reinforcing the notions of unity, balance, and flow. In Hyper Light Drifter these mental challenges of finding and deciphering the monoliths, which themselves are difficult to locate, are matched by the challenges of New Game+. In this mode the Drifter wears a cloak that limits how much health he has, though you are given your chain dash and other abilities from the start. 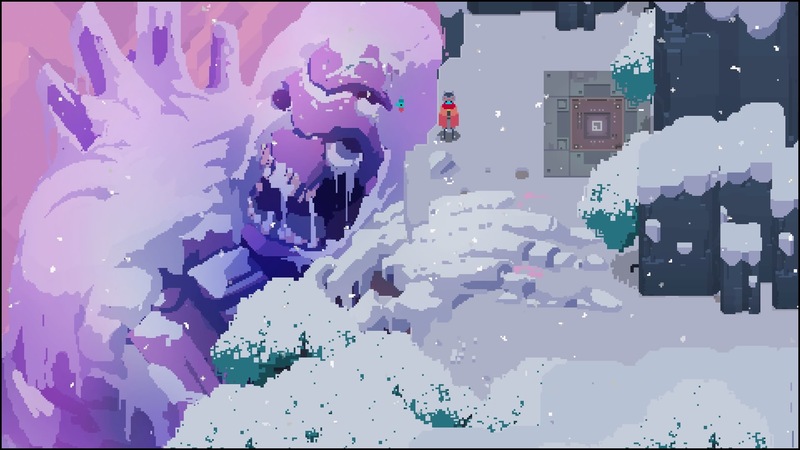 Although some games use difficulty to prolong their value, Hyper Light Drifter uses it to teach, to foster empathy, to allow the player to overcome limitation. The game gives and takes away from those willing to endure, to walk the middle path, to dash with the current and not against it. Ignoring this is to ignore the game’s core values, to focus on your desire instead of virtue. Further, ignoring this is to lead the Drifter along the path of treachery and violence without meaning. It’s to gain nothing, to poison your spirit. As a monolith in the Barren Hills states: “’OVERWHELMING WONDERS AND POWER,’ ‘DESPERATE HUNGER FOR PROGRESS,’ ‘DISTORTION OF LIFE, DEVOURING BODY,’ ‘THE FIRST VICTIM OF THE INVASION. '” Let that be a warning to those who dare cheat the Tao. Lao Tzu. Tao Te Ching. Translated by Stephen Mitchell, Harper Perennial Modern Classics, 2006. Previous Article← Should You Pull?